Headstone stone maker: Gorey Stone Art. 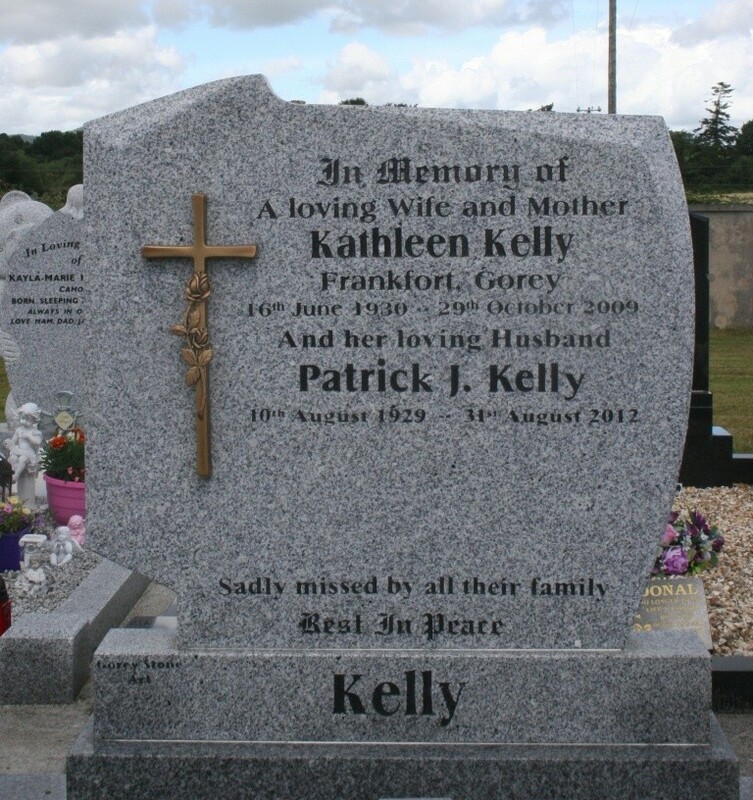 In memory of a loving wife and mother Kathleen Kelly Frankfort, Gorey 16th June 1930-- 29th October 2009. 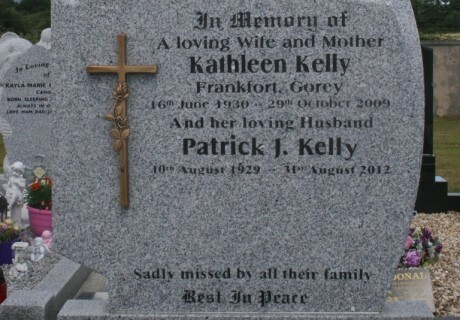 And her loving husband Patrick J. Kelly 10th August 1929 -- 31st August 2012. Sadly missed by all their family.